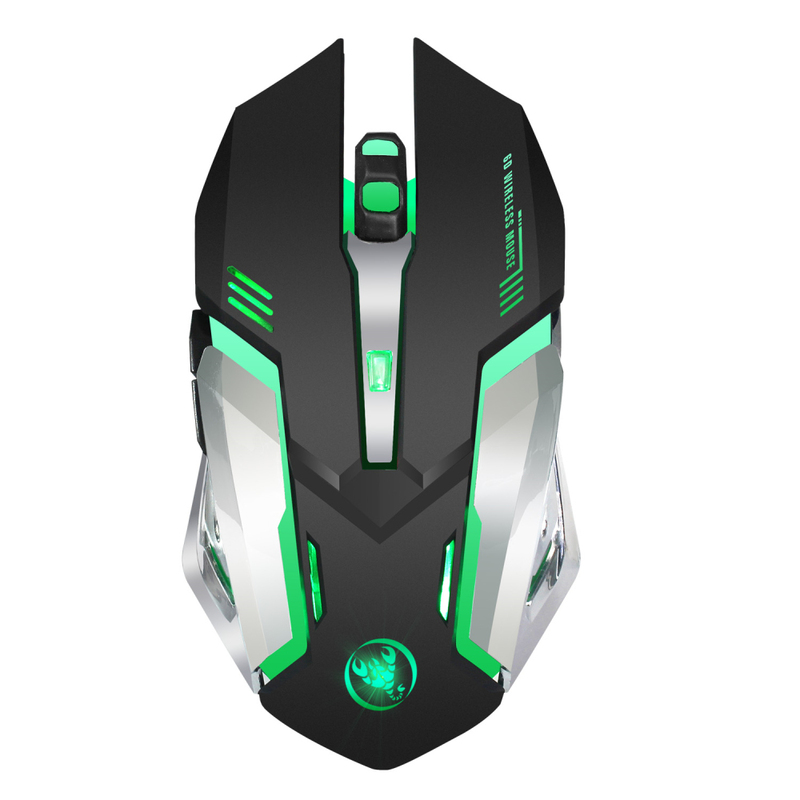 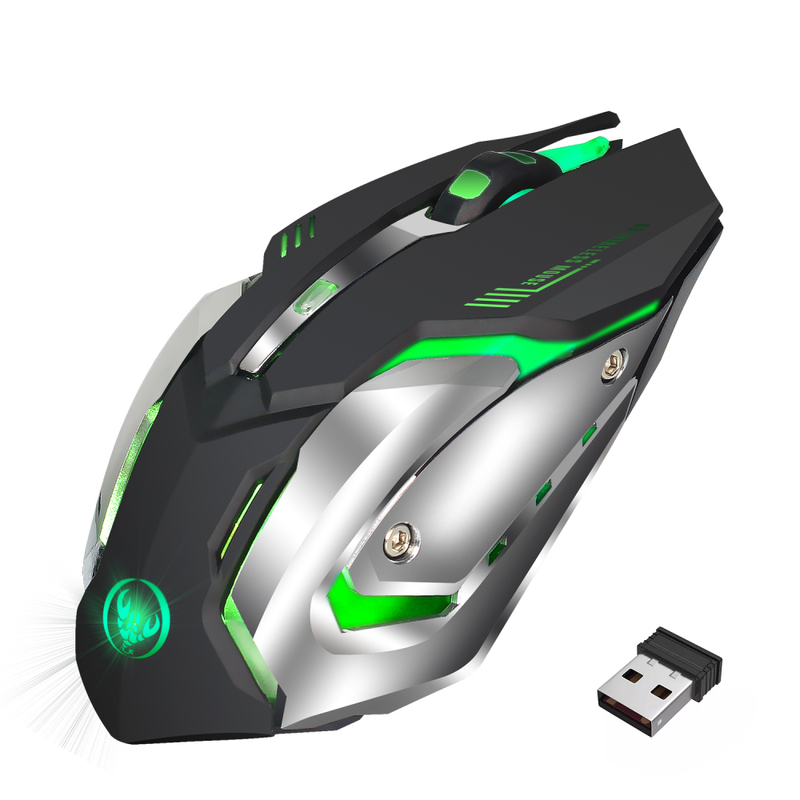 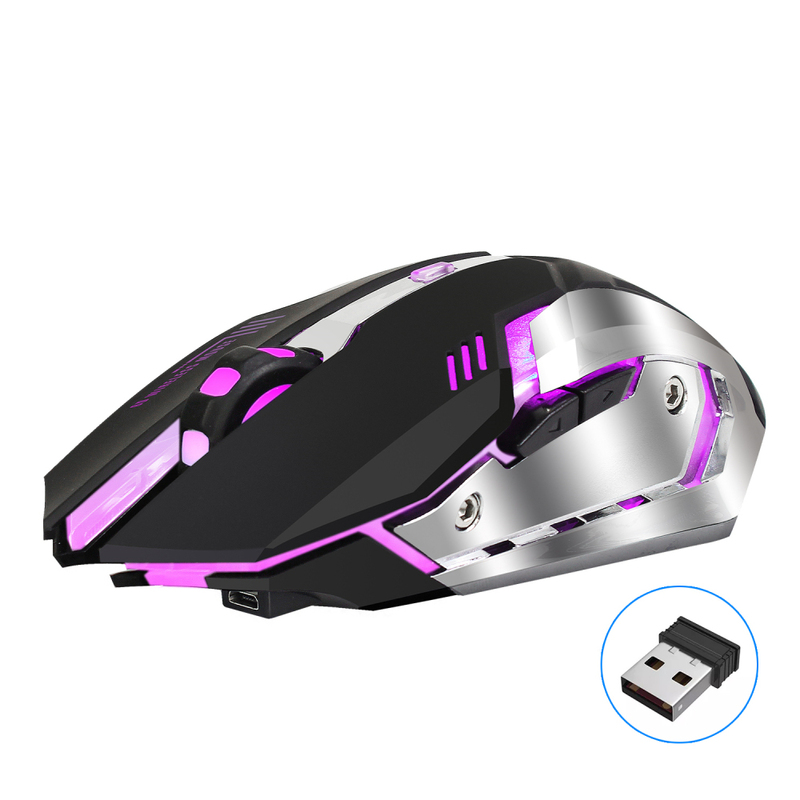 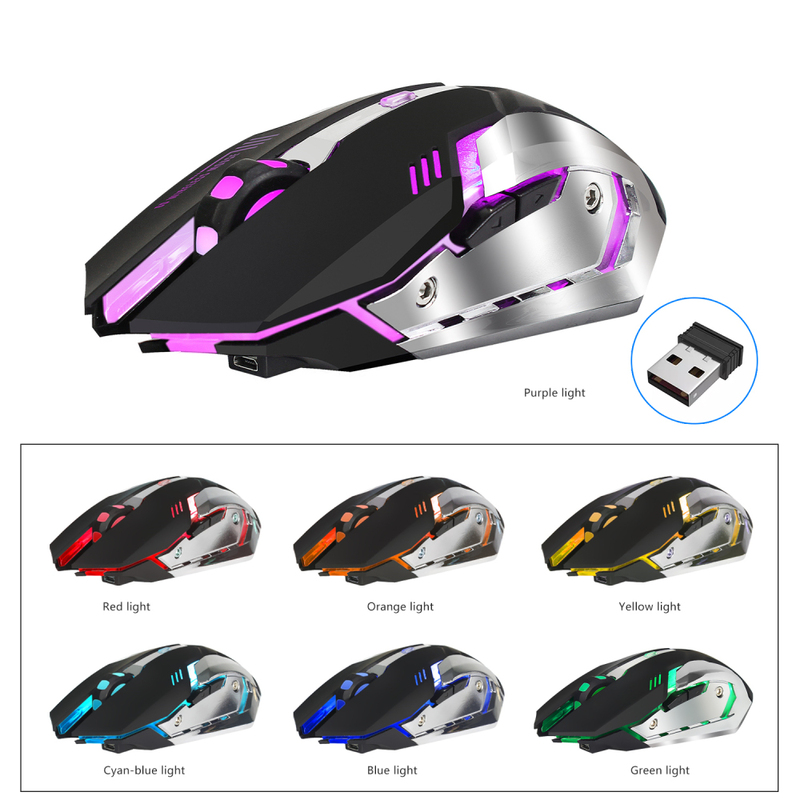 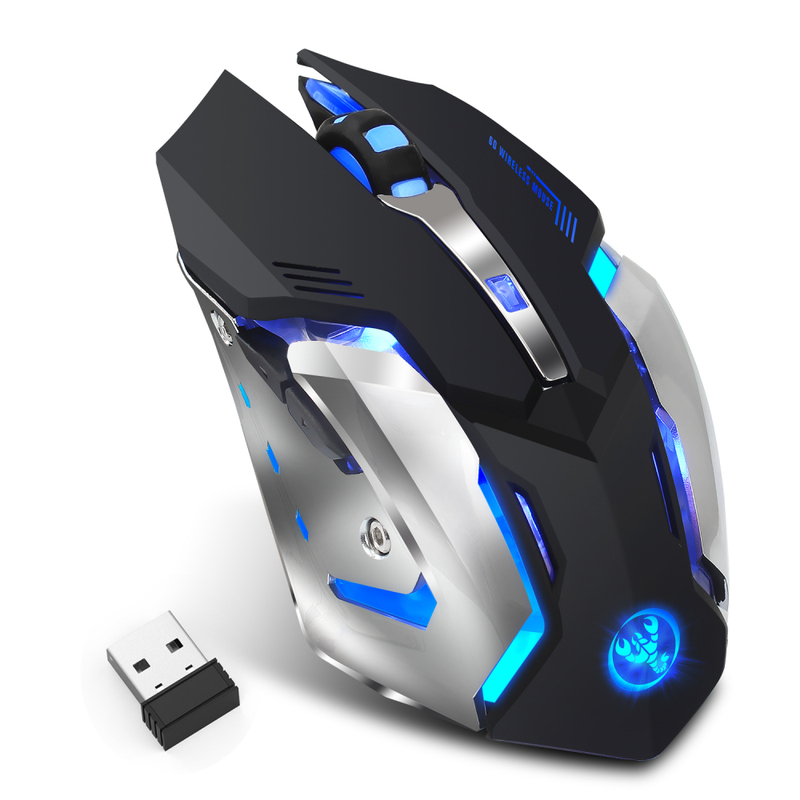 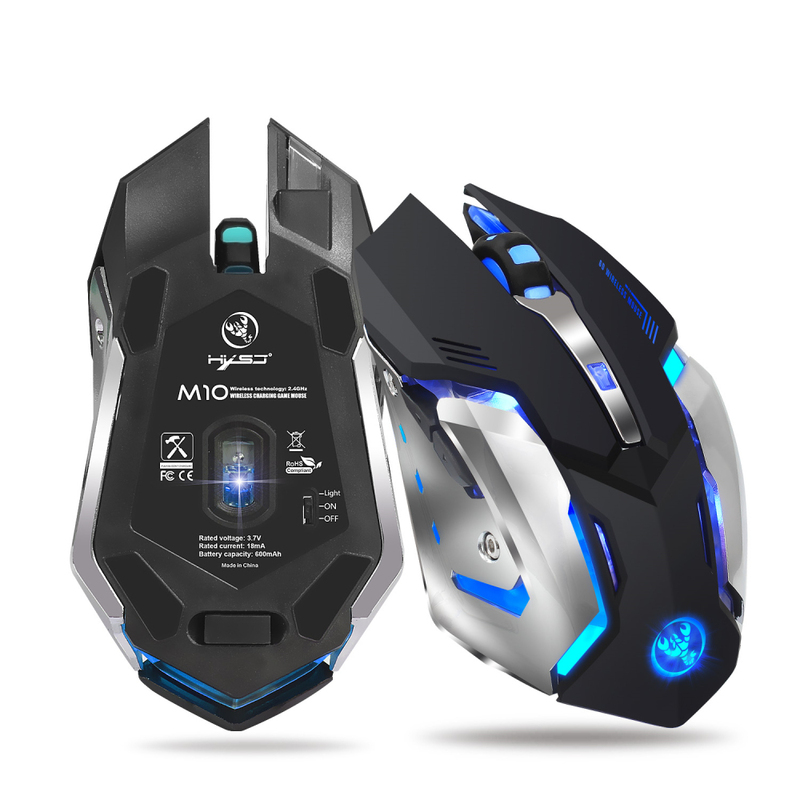 The latest HXSJ brand wireless gaming mouse, with six buttons and seven colors of the breathing light. 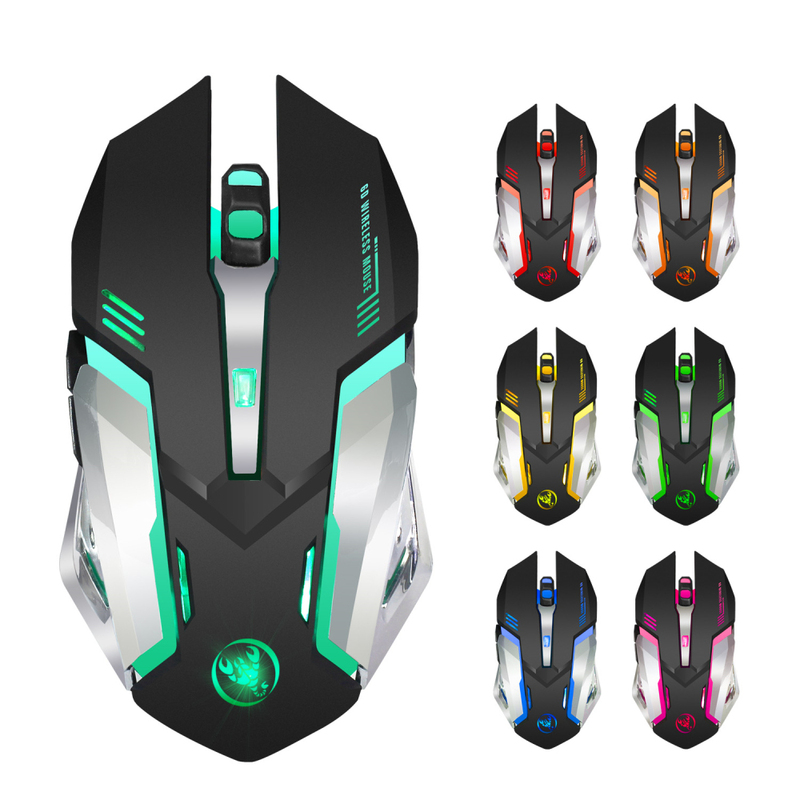 It is suitable for game lovers. 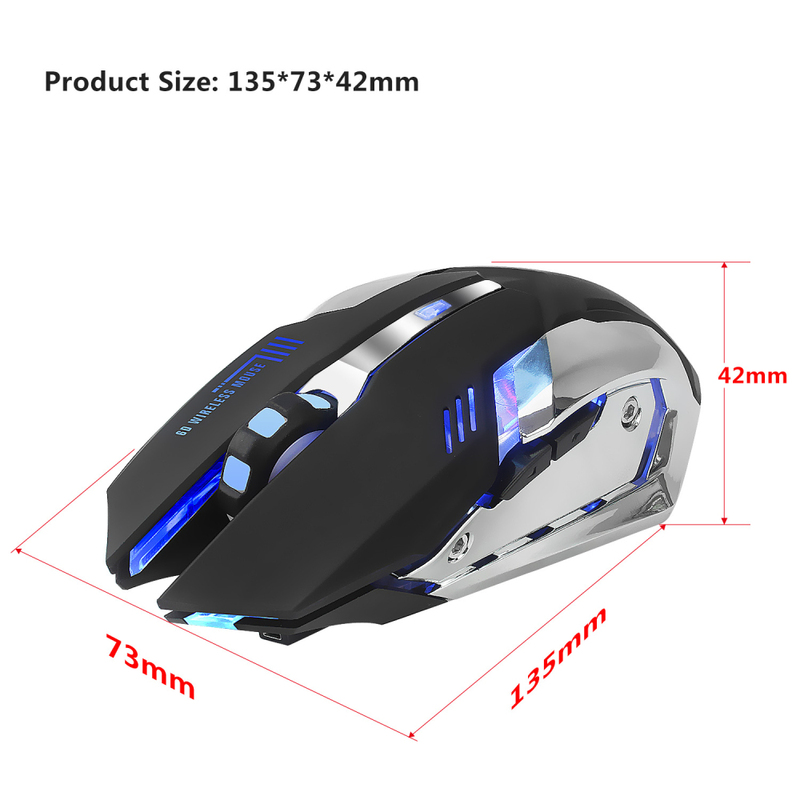 Ergonomic surface to reduce hand fatigue and 4 adjustable DPI options, this mouse will make your game experience more enjoyable. 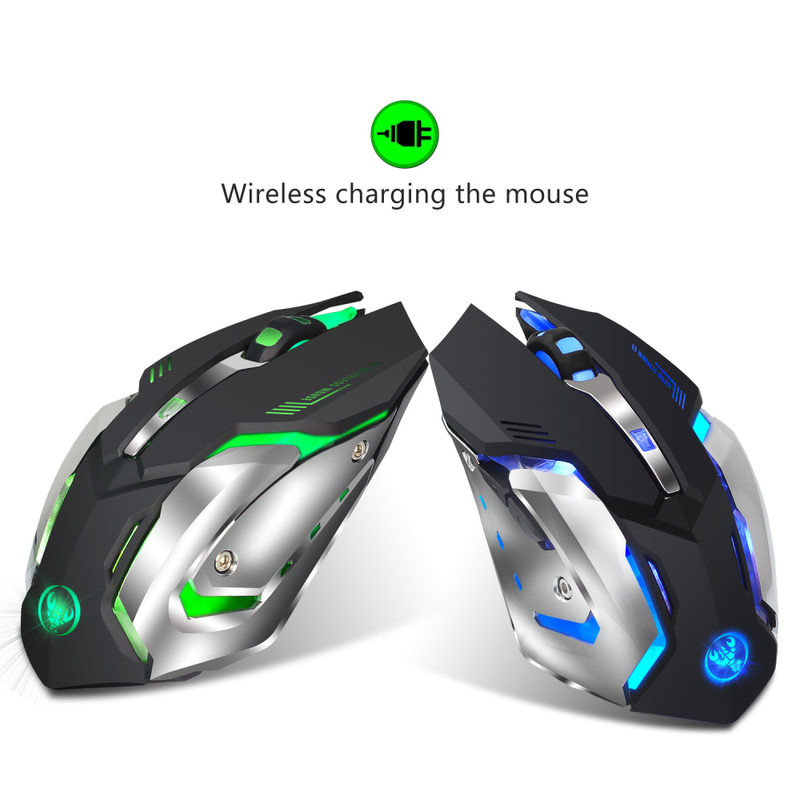 Wireless Mouse 2.4GHz Gaming Mouse Ergonomic Design Gaming Mouse 2400DPI USB Mouse Laptop. 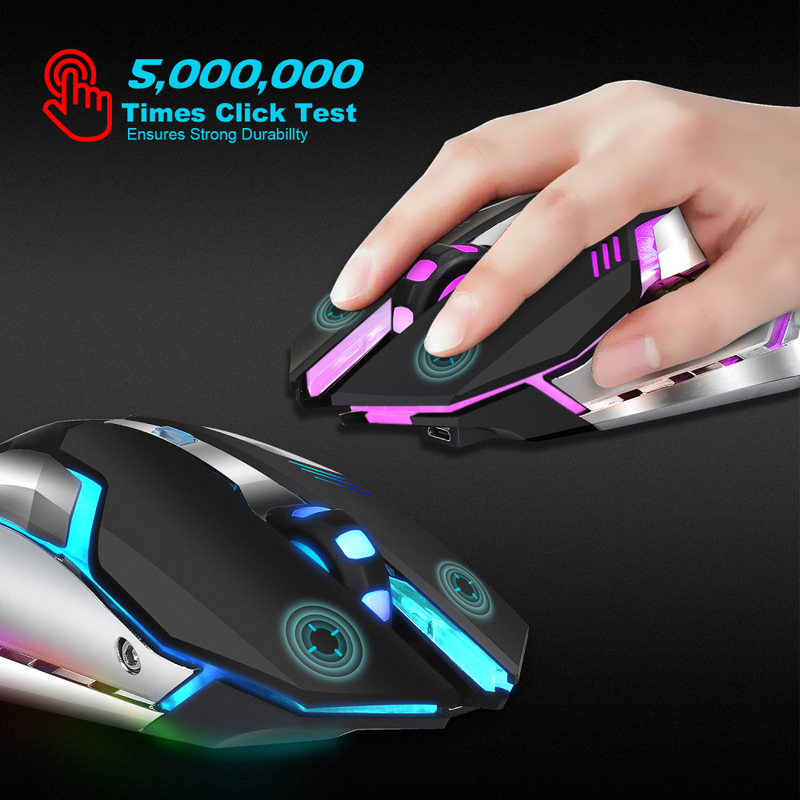 Keystroke life of up to 10 million times, can be repaired durable. 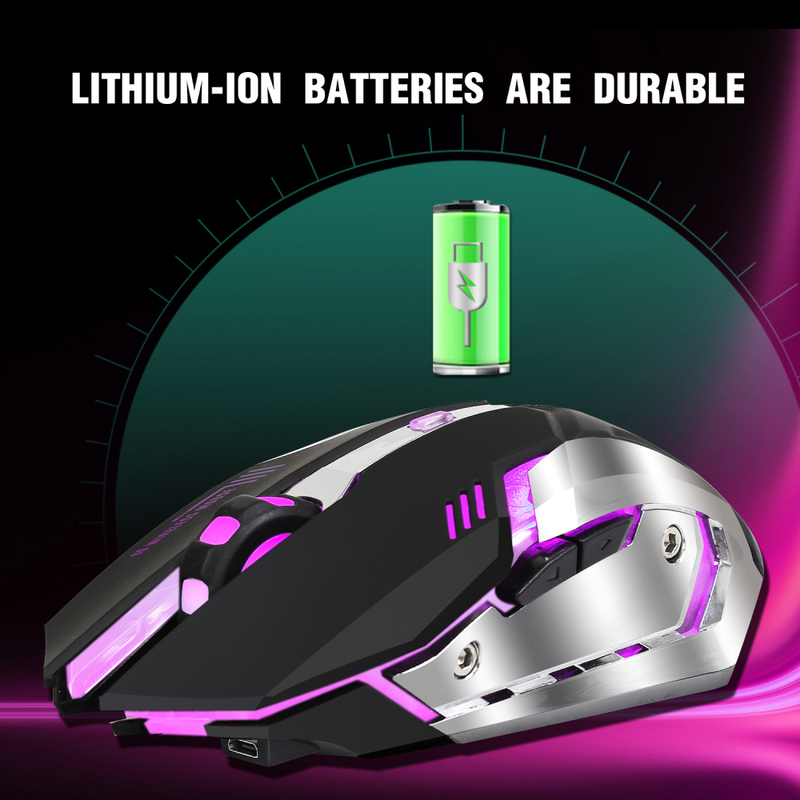 2: Built-in rechargeable battery capacity can reach 600 mA. 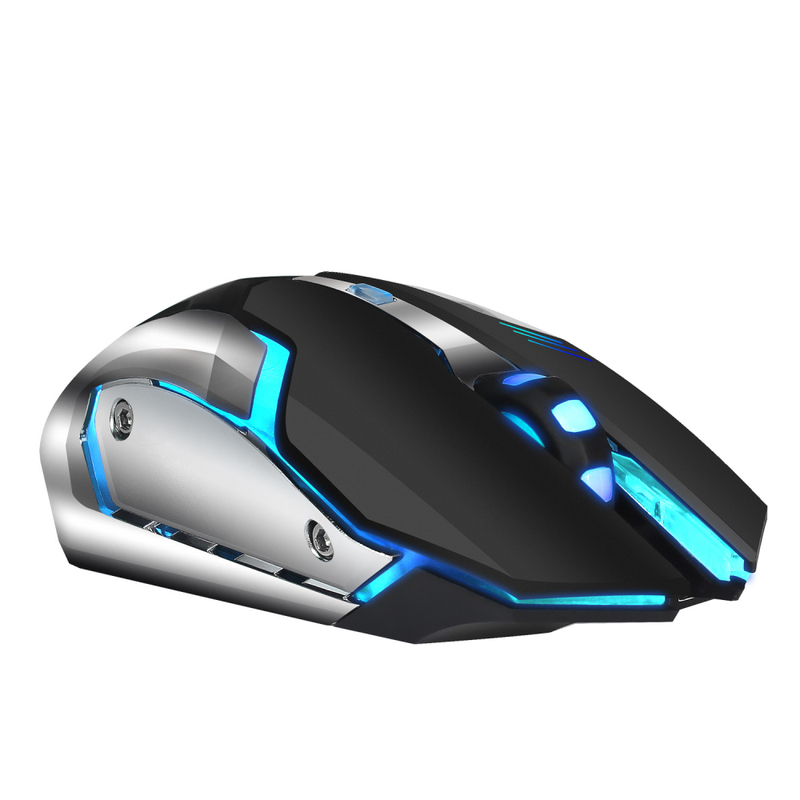 3: Ergonomic design, can prevent and prevent carpal tunnel syndrome. 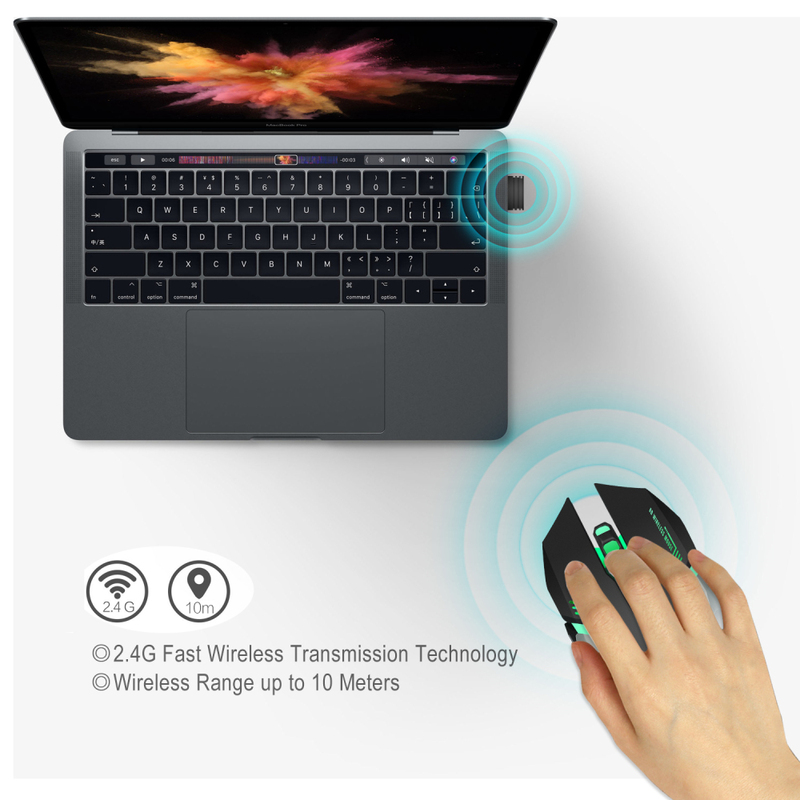 5: User convenience, wow pen signature, comfortable folder. 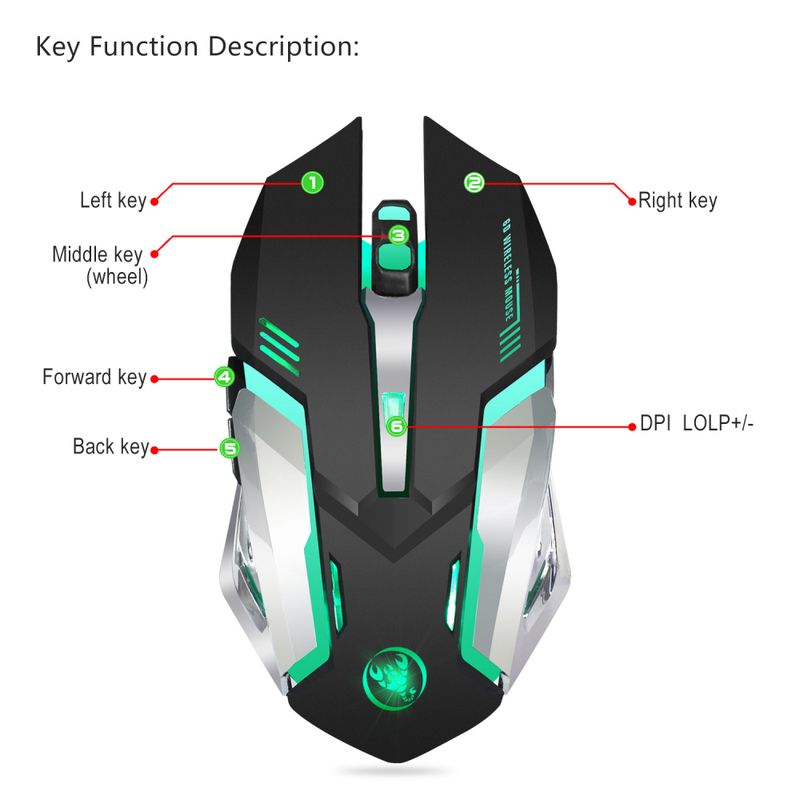 6: L / R mouse button, 2 thumb buttons and a clickable wheel, advance, retreat, dpi. 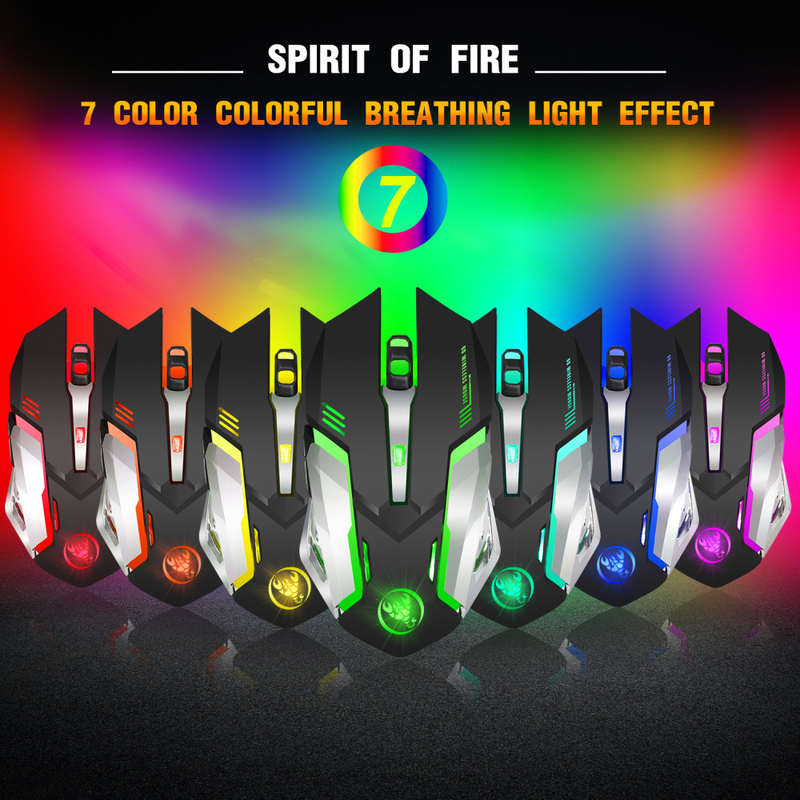 8: 7 colors of the breathing light to give users a cool gaming experience, you can turn off the lantern. 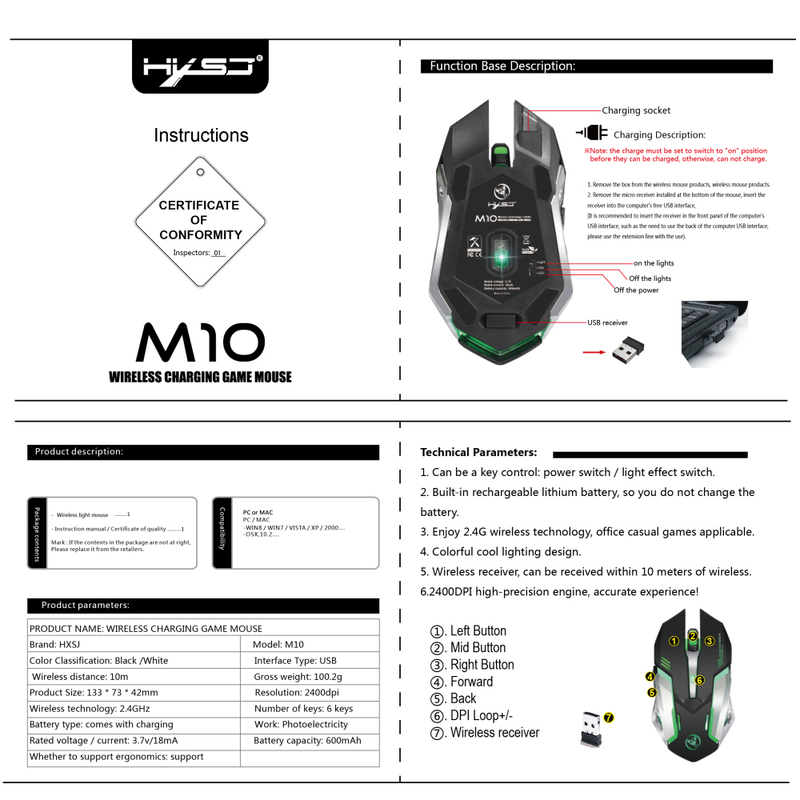 11: System requirements: Windows 98 / Me / 2000 / XP / Vista / Win 7 / Win8 / 10/Vista Mac OS or latest. 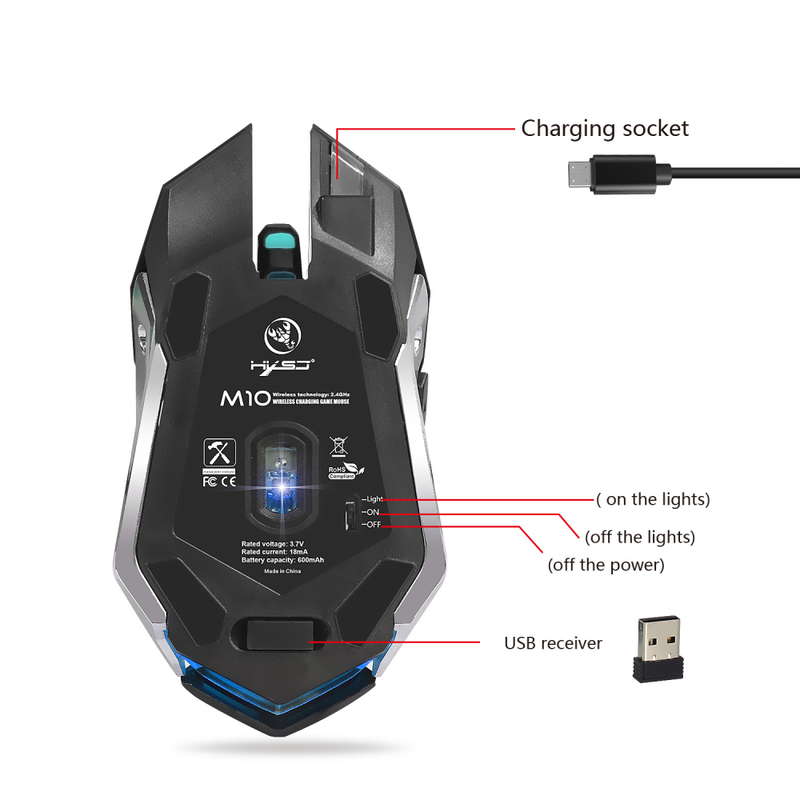 When the mouse is charging, you need to switch to the ON position of the switch, the battery can be charged normally. 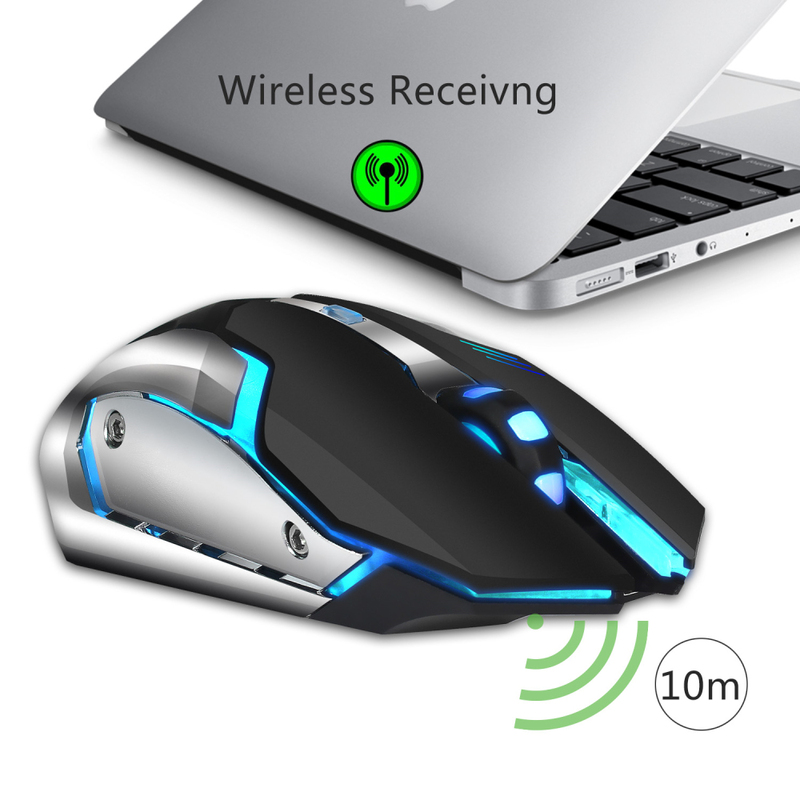 1, USB cable can only be used for charging. 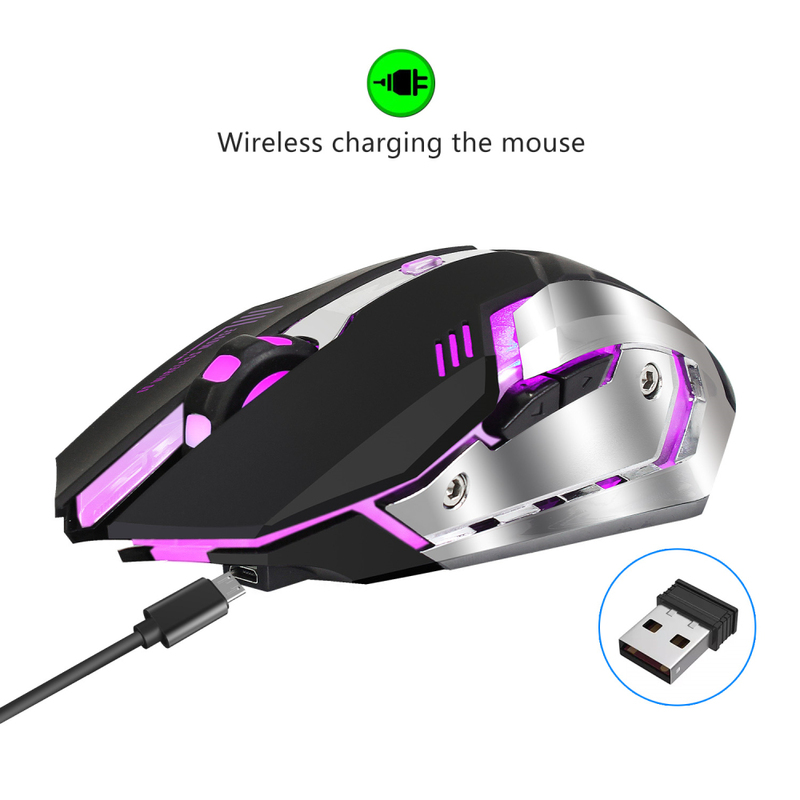 It can not be used as a wired mouse. 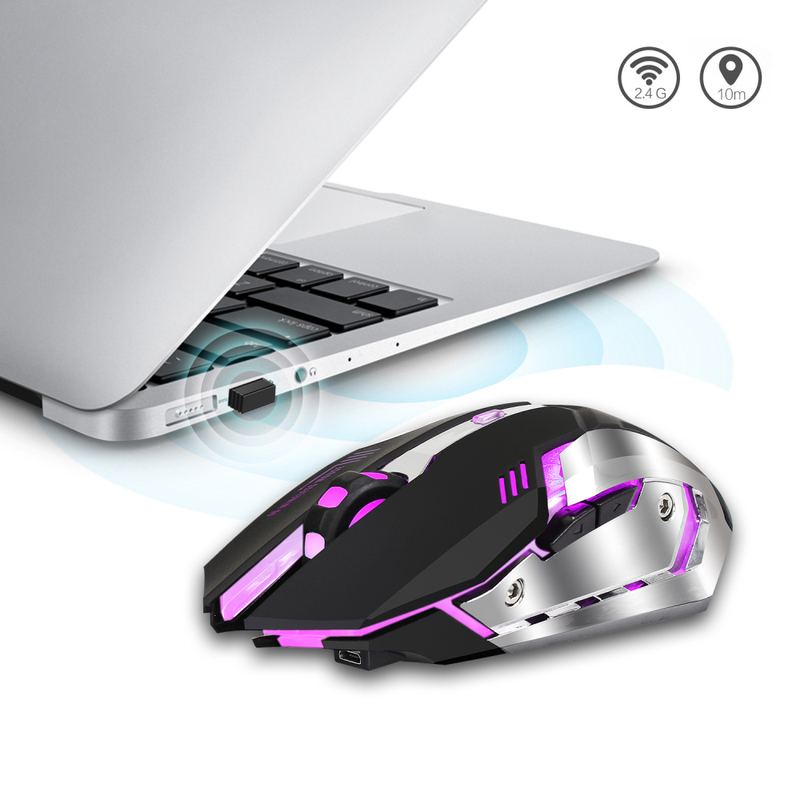 2, You can use the mouse when charging, but you should ensure that the USB receiver is plugged into the computer and the mouse switch is on.